Why do you need a security lock for vans? 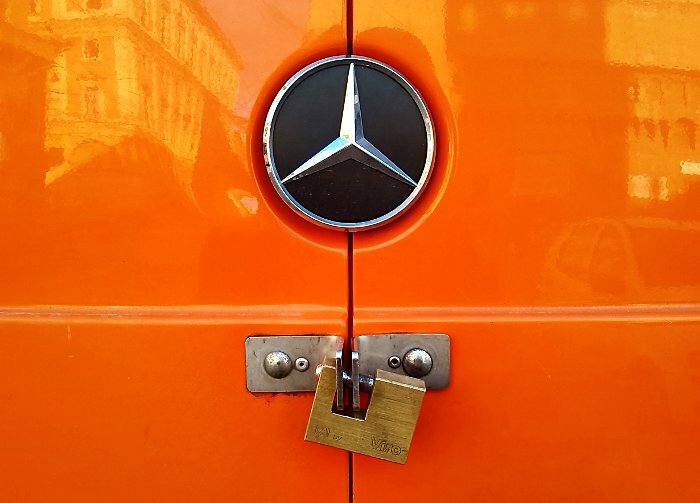 What is the point of installing a security lock on a van or truck when they are already fitted with standard locks? They are needed because standard locks have two great drawbacks: they are readily vulnerable to attack from a potential thief and they have to be opened with keys in possession of the driver. For these reasons there are at least 3 occupational categories for which installing a security lock is a very smart choice. Couriers and hauliers often have their truck or van filled with merchandise, including valuable items. 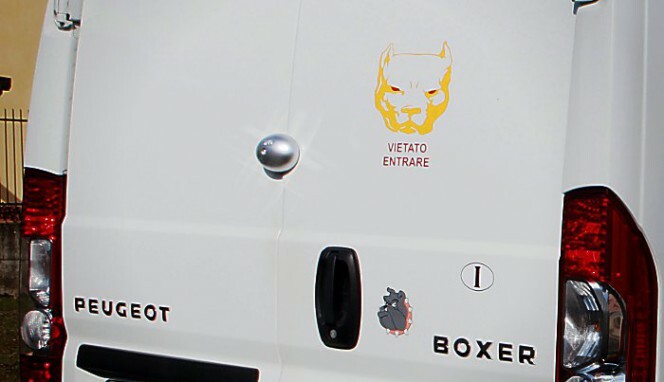 If they have to make a round of deliveries they are forced to leave the vehicle unattended even for quite long periods, during which thieves can act undisturbed. For example, tens of thousands of Euros worth of designer clothes were stolen from this courier. So it was therefore only natural that couriers and hauliers were the first to pose the problem of how to defend the goods transported from possible attacks by thieves. For this reason, various craftsman-like solutions have become commonly used over recent years, which basically consisted in locking the doors with external padlocks attached to welded or bolted plates or eyelets. Standard locks on vans are so unreliable that many people create more secure solutions in a craftsman-like manner. The limits of these solutions are clear to see, starting from the esthetical factors, up to the security issues which result from having the fixing eyelets and lock-bolts (or U-locks) of the padlocks on view and therefore easily attacked. But the problems are also of a practical nature: an external padlock must be removed and replaced every time the door is opened and closed, which, during a round of deliveries, can take place dozens of times every hour. A security lock, such as the as the Viro Van Lock, solves all these problems because it dramatically increases the resistance of the doors to attacks by thieves, either by brute force or by lock picking, and, as it remains fixed in position, it is very convenient to use. The third category for which relying merely on standard locks for vans and trucks can be a problem are the recipients of the goods transported. In case of loads which are particularly valuable or the contents of which must remain confidential, the fact that the doors open with the same keys held by the driver can be a risk. In this case, a security lock is useful precisely because it adds a lock for which the keys can be managed independently from those needed to drive the vehicle. So, basically, for anyone using a van as a business tool, the installation of an additional security lock is a small investment that can prove very worthwhile, as it greatly reduces the possibility of theft whilst at the same time improving the convenience in everyday use. This entry was posted in Padlocks and tagged products on 10 March 2014 by Mara Rossi.